What would you do if you unexpectedly had to leave town for a family emergency? Are you prepared to hand over the reigns of your household, or would it take a lot of planning and work to train someone else to do what you do? 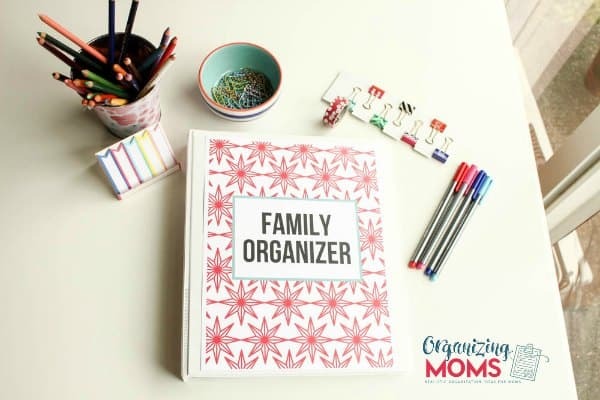 If you’re in the process of learning how to organize your home, setting up a family organizer as you go can help you build a resource that will help others help you! 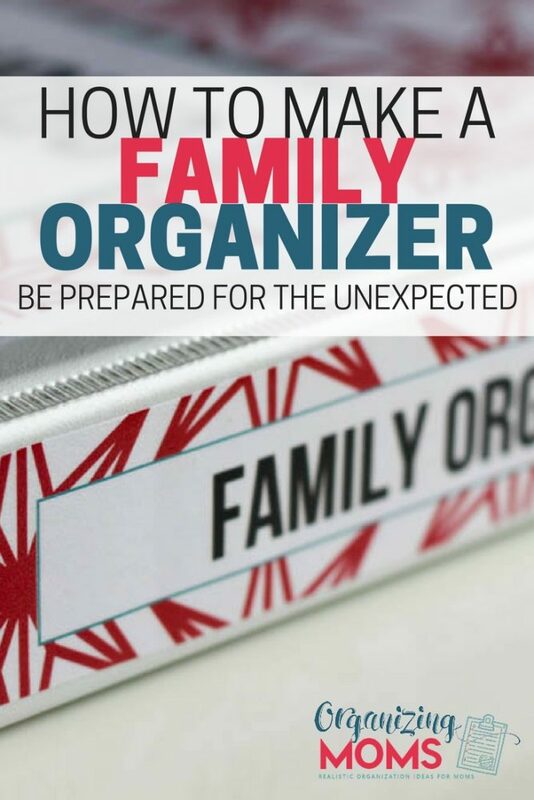 One way you can prepare for the unexpected is to create a Family Organizer. 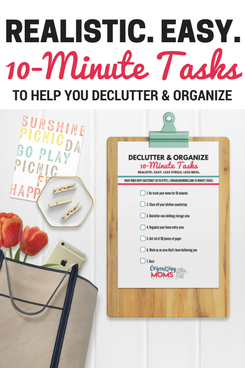 It can serve as a resource to anyone in your family (including you! 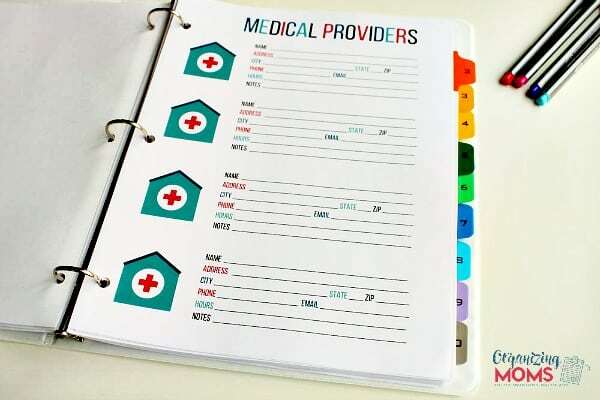 ), and it’s a lifesaver for when you need to hand over your household responsibilities for a while. 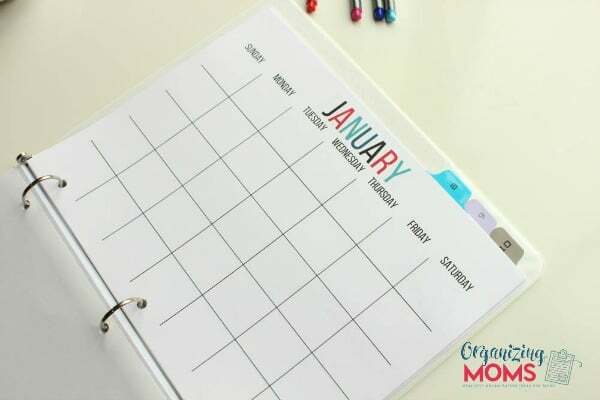 I plan to use my Family Organizer along with our household command center. Our sons are still very young, but they’re able to read, and they like to look on the calendar to see what’s going on each day. I like that they’re able to plan ahead, or at least look forward to, their own activities. And, I know that if I need to be away for a few days, they’ll be able to help a grandparent or a babysitter find information in the command center. 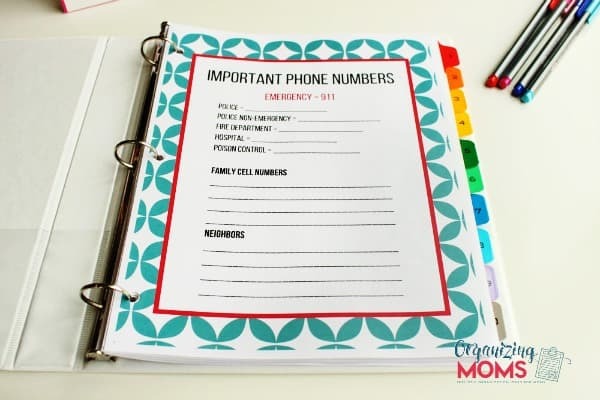 Hopefully you won’t have to use the Family Organizer for an emergency, but it’s always good to be prepared. It’s also nice to have a centralized location to keep all of the information about the inner workings of your household. 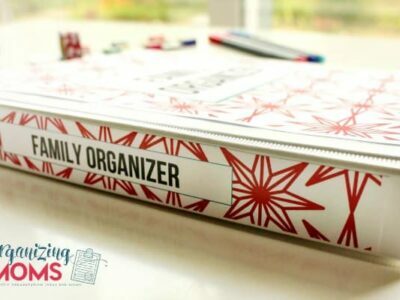 Want to learn more about the Family Organizer Printables? Click here to see what they can do for your family and your sanity! 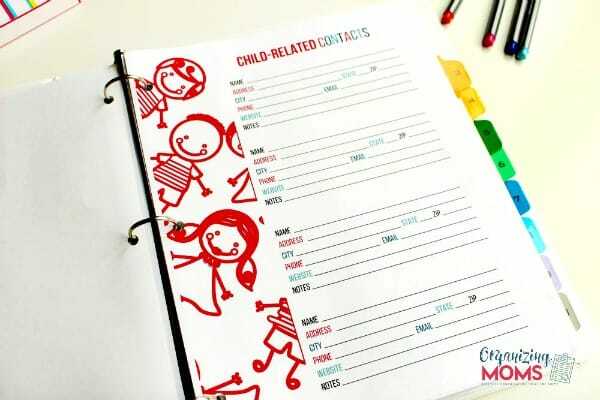 Click here to get your set of Family Organizer Printables now.